Hello Friends, today we will talk about Adsense again, but this time we will not be talking about How to Make money with Adsense or How to get Approved Adsense Account, Instead we Select twisted topic but very important for Bloggers.So, You are a Blogger. OK, Tell me How much Page views or Unique Visitors your Blog is having and How much Money you making daily as a Google Publishers. You Know, I am Asking this, because today we are talking on the same topic “How Much Traffic you Need to Make Money with Adsense“. Any Expert Bloggers reading this will think that it’s a crazy topic. But it’s not, because in Google Search there are many Searches on similar phrases like “adsense how much traffic to make money“, “How Much Traffic Adsense Make money“, etc. So, Here i am writing from those searchers as well as those Publishers who really don’t know about this. They really suffer and in the end, get irritated due to lack of Money and quit blogging. I Don’t want them to quit. 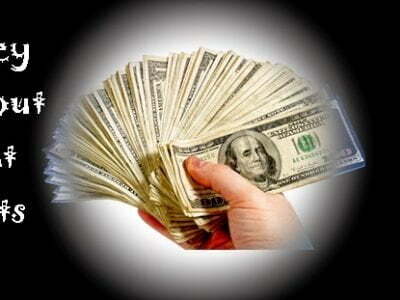 So, here i will explain briefly that How Much Traffic they Need to Make Money with Adsense. Let’s start without wasting too much time. 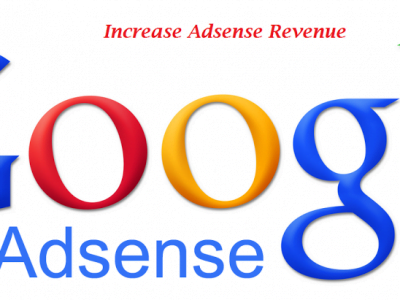 First of all you need to learn about “Cost per Click” which is really a key to Earn Money with Adsense. I think Many of should know that Adsense Earning depends on Keywords. There are many which will pay you $100+ for Single Click but Majority of Keywords will only pay $0.10 to $5. So, You need to Target those High Paying Keywords in Your Articles. Some of those are “Loans, car Insurance, Health, Forex Trading, Auto Insurance, etc. This is the most important thing for Adsense Publishers Because if you have Tons of traffic and you still not making enough money, then, there is something wrong with your Ad Placement or its color. So, Always put emphasis on this. You CTR Rate needs to be around 5 to 8%, which will be perfect. For further Explanation, Suppose you get 100 Page Views and 8 of them clicked your Ads. So, You will have 8% CTR. Now, i think it’s enough for you, It’s time to move on and do more calculations of traffic. Suppose Your Blog Receiving about 500 Visitors per Day. It Means with this amount of traffic and CTR , you will earn $80 Dollars. But i think it’s too much Dream type calculation. So, We make it a real one below. Now, this is a real calculation. You will need a minimum of 1250 Page Views Per day to Earn $20 from Adsense. Many Newbies and Medium bloggers find themselves here or below this. But for those who are below this landmark, i will only advice to keep this Calculation in mind and work accordingly. Soon you will get to this. It is not going to be easy, because to needs a lot of page views to hit this Earning landmark. But still we can give you the calculations about this. If you are getting 20 Dollars for 1250 Page Views, then, to get $500 per day, you will need 31250 Page Views daily with a CPC of .40. So, This Number of Pageviews can help you earn $500 per day. But this is not easy as i said before. Here I wanna tell you one thing more, there are some Ads based on CPM (Cost per Mile) which means you will get Money for per 100 Impressions. But In Adsense Majority of Ads are CPC Based, So, you only Need to Increase your CPC and Also to get More earnings increase your CTR. 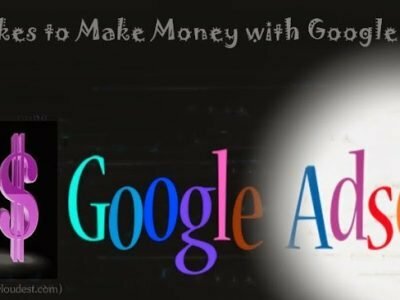 But still, if you are ablt to earn High from Adsense, then I will suggest you use some of the Google Adsense Alternatives. Although no one can match Google’s advertising company, but still you can try. So, I hope you Liked this Article “How much Traffic it Needs to Make money with Adsense“. Don’t Forget to Share it on Social Networks. happy Blogging. My site about 1500 to 2000+ per day. Click 10 to 14 per day. I want 5$ per day from my website? Very good post .I want to know two things first is that how much site relates to fashion or keywords used in posts are related to fashion will pay me if daily traffic on my site is 500 . And second is that how can i grow traffic on my site??? Making money with Adsense doesn’t come easy. Many people are ad blind and others are just not interested in clicking on ads. Also the true source of Adsense money comes from traffic and getting targeted Adsense traffic isn’t easy to get. I have seen more the page views, cpc always tends to go down. Nice post Bro, But achieving $500 a day a little bit tough. But 2nd one is looking more realistic. Getting $20 a day is not a tough task if its working in right way other wise google will hamper you. You know adsense money is a joke especially if you don’t get enough traffic. You can even have huge traffic a day but not hitting the landmark. I think the level of facility also depends on niche. 500 visitors a day in the Internet Marketing niche will generate less than earnings than 500 visitors a day in finance niche. You have chosen a very nice topic Atinder. Many newbies would have got an idea how adsense work. This is a joke. You’re not going to get 4 out of 100 clicks. Maybe 4 out of 1000. Lolz. Mam who told you that. People are getting 4/50 views and you are shocked on 4/100.